Truck hire specialists To An Fro have a whole fleet of vans, trucks and lorries available for hire from our Honiton garage. We have vehicles of different sizes to suit your requirements. 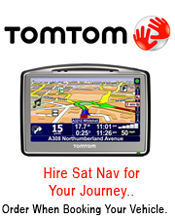 To an Fro of Honiton are East Devon's professional vehicle hire specialists. Our vans and trucks are all available on flexible hire terms, so if you need it for a day or a long term contract, come to To an Fro for a competitive price. We also offer a beavertail Transit, ideal for use as recovery vehicle. For more on recovery hire, speak to someone at To-an-Fro or read more.